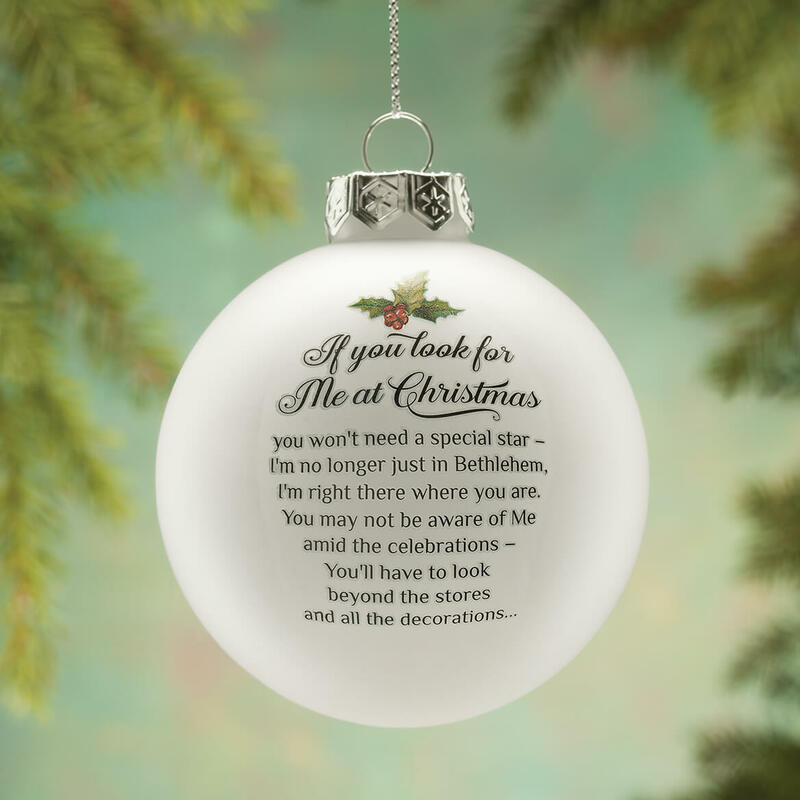 I will keep one to put on my tree and the other will be a gift. 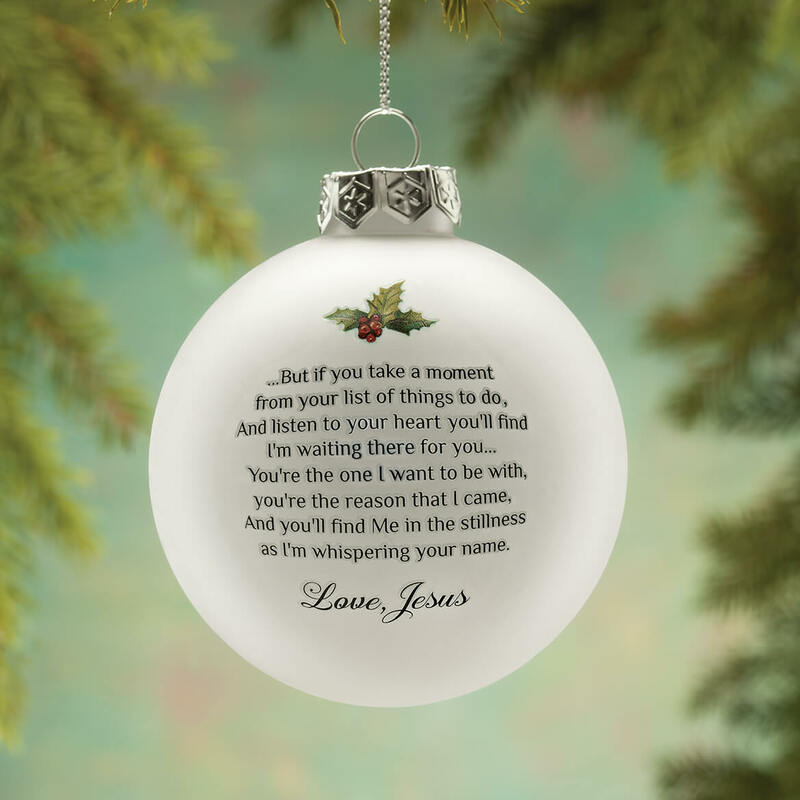 This is a beautiful ornament, The saying on front and back is so tender and heart touching. It brings you back to the real meaning of Christmas. Given for Christmas gifts & everyone loved them, beautiful. 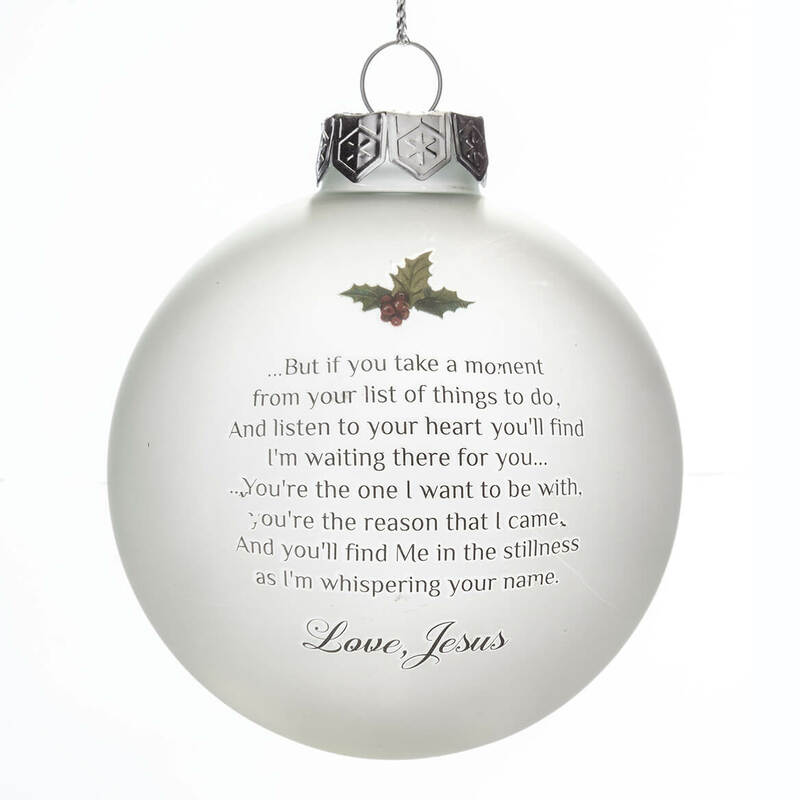 A keepsake gift for my granddaughter thats 13 to put on her tree in her bedroom to share the love of Jesus and as a memory of my love to her forever. Great to find things that express the REAL meaning of Christmas! Bought 4 of them, including one for my church! IT IS THE TRUE MEANING OF WHY WE CELEBRATE THE CHRISTMAS SEASON. Displays the true meaning of Christmas. Real meaning of Christmas has been lost to many. I like my family to remember why we celebrate. This express the true meaning of Christmas. I like the verse and it looks pretty. BEST ANSWER: Thank you for your question. 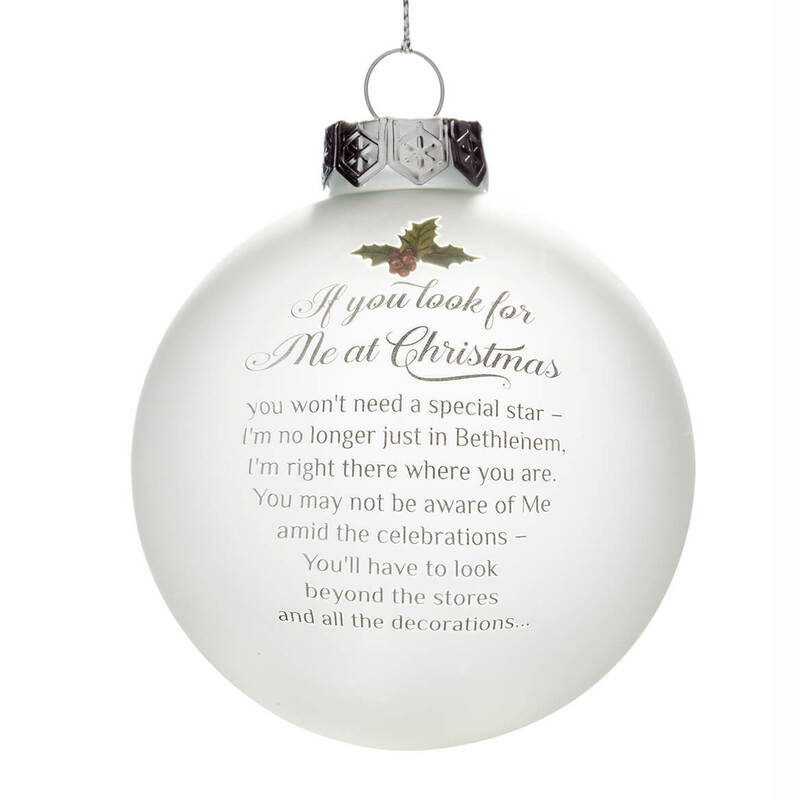 Unfortunately no this ornament cannot be personalized. We hope this information will be of help to you.